“Handmade, homemade and authentic are all on trend words vastly overused to sell the never ending flow of food products coming onto the market. We are proud to say, our curries have, and will always be all those things." Hawked at railway stations, offered in shops, brewed in the middle of the desert and in every home, Chai is a drink synonymous with India. 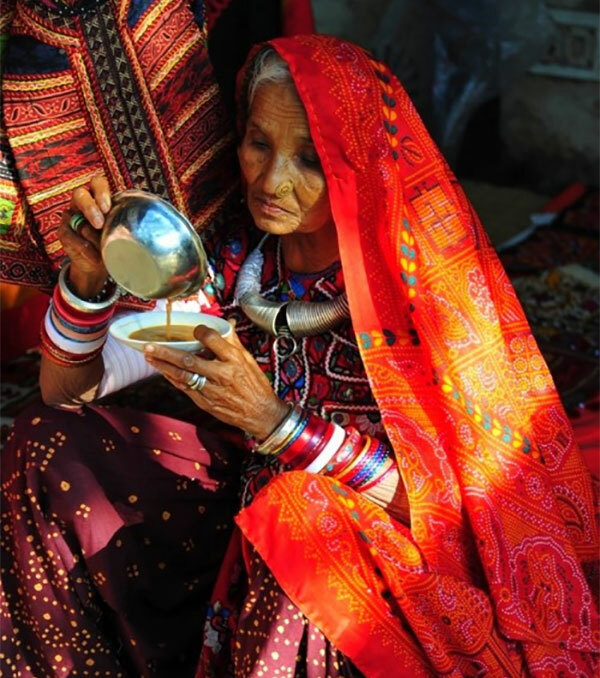 Chai became the drink it is today when black tea was introduced to India in 1895 by the British, its a meeting of two cultures that we can be proud of. As two British ladies cooking Indian food with as much love and expertise it seemed the perfect choice of name. We always have a pot of Chai going in our kitchen, we love the taste and its a wonderful reminder of why we do what we do. Established in 1999 The Chai Stop has grown from a tiny cottage industry, supplying those “in the know” with delicious curries into a thriving business producing a unique range of freshly frozen curries to shops throughout Kent and Sussex. There is also a National delivery using eco-friendly cool boxes for customers who are not local to a stockist. The Chai Stop was born out of the collaboration of two British women Tina and Isobel. Inspired by Tina’s travels in India where she trained under a top Indian chef and the discovery of a treasured hand-written book of recipes from Isobel’s grandmother, a cook for a school in the foothills of the Himalayas, the pair came together to create truly authentic experience for all to enjoy. With a small but dedicated team they continue to develop new mouth-watering meals all prepared with fresh and, where possible, locally produced ingredients, in their purpose built kitchen in East Kent. Come along to our kitchen and sample a few of the curries we’ve cooked that week. Free Tastings are Saturdays 11am – 3pm for more information join our event page on Facebook. You can also come along to our professional kitchen anytime to see the work in progress, enjoy the aromas and have a taste. Organising a party, wedding, birthday, family celebration or a get together with friends? We can supply our curries by the scoop for larger parties and events, please call us for more information 01304 619858. 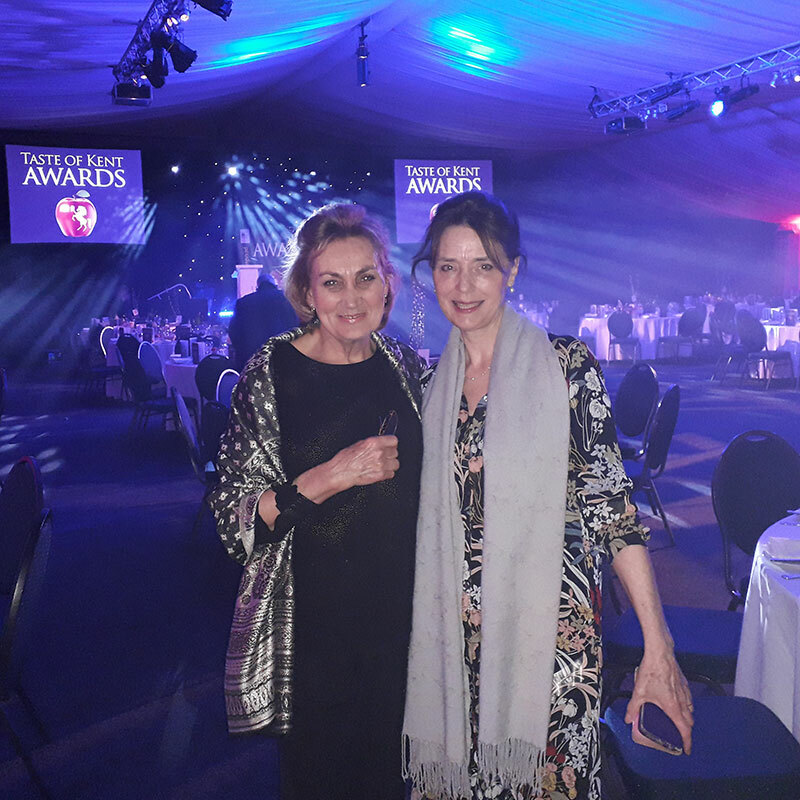 Left: Tina and Isobel at 2018 Taste of Kent Awards where The Chai Stop was finalist in Kent Food Producer of the Year 2018.